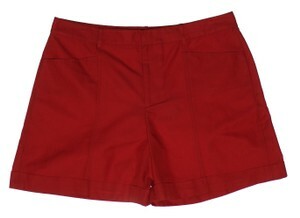 Red Adele shorts. 2 front pockets. Hook & eye / inside button / zipper front closure.